We were delighted that a record number of people joined us for last weeks’ Sustainable Diets NutriWebinar. The effect our food choices are having on the environment – and what we can do about it – is clearly a topic that matters to you. 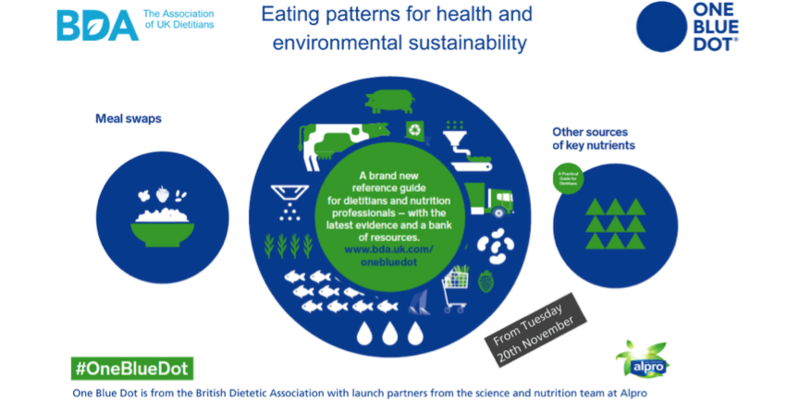 Today, many months of in-depth work on sustainable diets comes to fruition with the launch of the British Dietetic Association’s (BDA’s) One Blue Dot campaign, aiming to ensure that dietary guidance is synonymous with health and sustainable eating. Throughout 2018, we’ve been part of a working group collating and reviewing the latest evidence from around the world on environmentally sustainable and healthy eating patterns, drilling down to macronutrient level. 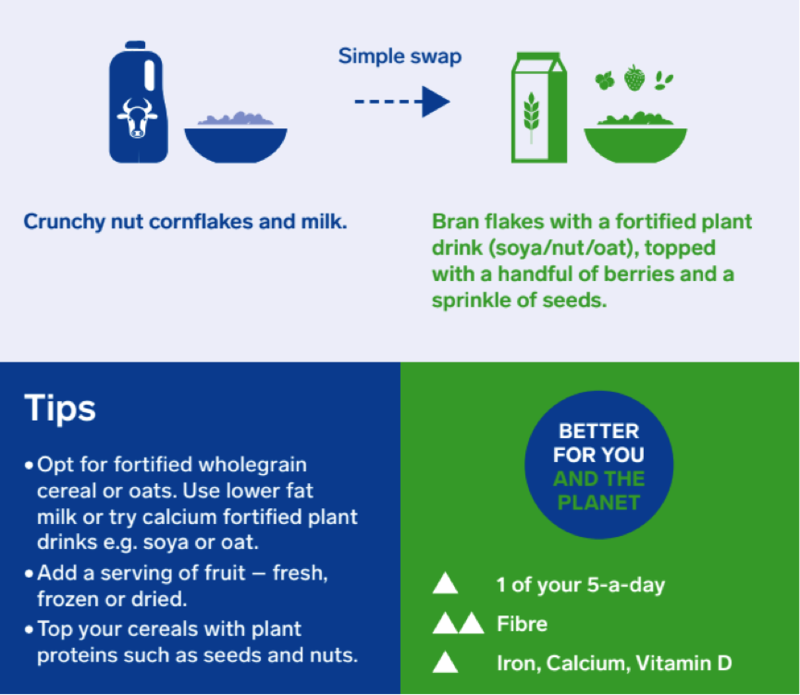 Supported by project partner Alpro, the ground-breaking results have been brought together into the new One Blue Dot reference guide and toolkit. It’s aimed at dietitians, health professionals and influencers – and really everyone involved in food provision in some way. Launching today at Food Matters Live in London, we hope One Blue Dot will become an essential read, guide and inspiration. Polls show that where 50% of us are likely to consider dietary changes to reduce the impact on climate change, in reality there are significant barriers to changing behaviour for the majority of people. Opting for seasonal, locally sources vegetables/fruit. Avoiding air freighted, pre-packed and prepared vegetables/fruit. Making tap water and unsweetened tea / coffee the choice for healthy hydration. Each is covered in depth, from the point of view of both the effect on the planet and nutrition. And – as the guide itself says – dietitians are ‘perfectly placed’ to communicate national and international guidance to help the public understand what they need to do to improve their own health and that of the plant to help future generation. The toolkit will be a ‘live’ document, with regular updates and extra information as the science develops. We’d love to hear your thoughts about the topic and the guide!